Forensic Analysis of Tattoos and Tattoo Inks is the single most comprehensive resource on the analysis of tattoo inks and use of tattoos as a tool in forensic investigations and criminalistics. The book begins with a history of tattoos and tattoo inks, and covers the use of tattoos throughout time as aids in the identification of individuals. It presents identification methods of identification through tattoos on charred, decomposed, mummified, or otherwise unidentifiable remains in both criminal investigations and mass disasters. This book provides an understanding of the process of tattooing and the roles of tattoos in criminological inquiry and legal matters. 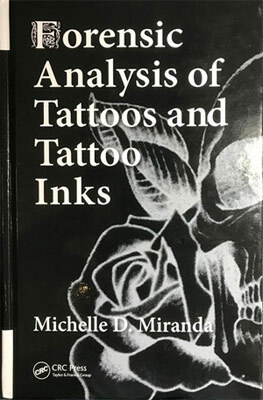 It scientifically evaluates tattoo inks, documenting the physical properties of the inks both macroscopically and microscopically as well as spectroscopically—identifying the optical and chemical properties of the various pigments found in these inks. A thorough analytical method is developed to conform to current laboratory accreditation standards and the satisfaction of legal standards such as Frye, Daubert and the Federal Rules of Evidence. Forensic Analysis of Tattoos and Inks shows how routine scientific inquiry can be applied to tattoo evidence by adding an objective component to interpretation, identification, and individualization of tattoos and tattoo inks in investigations. It presents the science and chemistry of tattoos and tattoo inks as a reliable tool in forensic casework and other related criminal and legal matters.